* = places I've been to before! Kjartan spent the day with us completing a half hour assembly with the younger ks1 children, an hour assembly with y3/4 and an hour quarter assembly with y5/6. He then finished off the day doing a workshop woth 15 of our more able year 5 and 6 children. Kjartan was very adaptable to what we needed as a school and aware of what would work and what wouldn’t. Our children had an absolute ball. Kjartan has a fantastic sense of humour and a wonderful way with the children. He carried out different maths activities through magic and all the children were really engaged. We would definitely book him again. Had a fantastic Murderous Maths day with Kjartan last week. 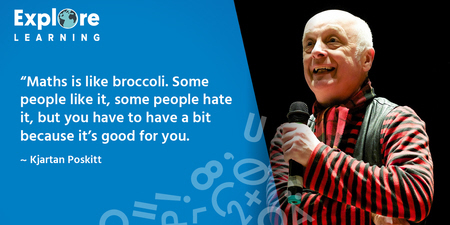 He is an enthusiastic speaker who really knows the ins and outs and all the tricks of maths. The children were hooked from the first second and enthused throughout. Kjartan has changed some children’s and teachers outlook and perception of maths within school. An all around fantastic day, we will definitely be booking again in the future. A pleasure to meet you Kjartan from all the staff and children at Birstall. Kjartan delivered fun, informative and highly engaging workshops for our Year 1 to 6 children. The sessions were thoroughly enjoyed by children and staff alike. We would definitely recommend him and are looking forward to having him back again. We had a fantastic Murderous Maths Day yesterday with Kjartan. Kjartan wowed children from year 1 to year 6 with his brilliantly funny assemblies! All children were engaged from start to finish and couldn’t wait to try out some of his tricks back in the classroom. Would definitely recommend. Thank you from all the staff at Park End. 20 North Yorkshire Coast Maths Month Filey extra date added! 22 North Yorkshire Coast Maths Month Scarborough extra date added! For all events that don't involve hundreds of kids in a school.